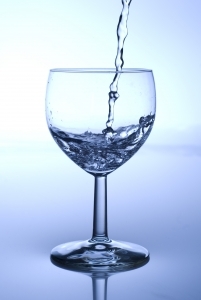 tags: Is water best to rehydrate?, Should I drink water or a sports drink?, What beverage is best? With the summer season fast approaching, many are also working back into exercise routines in hopes to obtain the fit beach body to show off in the warmer weather. But with warmer weather and exercise also comes increased perspiration. That makes hydration an important factor in a successful workout. From sports drinks touted by professional athletes to antioxidant- and vitamin-enhanced smoothies, today the beverage market offers more variety than ever. But what drinks are REALLY best for your body and your health? Surely it’s one of those sports drinks that bolster a mountain of scientific research showing their ability to rehydrate, right? Or maybe it’s the vitamin and mineral enhanced protein shakes that help build muscle and fuel workouts? Perhaps it’s even a more natural beverage like coconut water? Would you be surprised if you were told you that the miracle drink you’ve been looking for was one that you’ve likely had access to all your life and is essentially free? That’s right, I’m talking about good ole’ water. I see it nearly each time I go to the gym. Someone hops up on the treadmill, jogs at a moderate pace for 10 minutes, hops off the treadmill, then chugs an ENTIRE sports drink. Little do they know they just added more calories than they likely burned simply because they rehydrated inappropriately. The fact is, if you are exercising at low to moderate intensity for less than 60 minutes, water should most often be your drink of choice. For short duration exercise your body won’t have much of a need to replace the electrolytes (unless you sweat profusely) or carbs, so stick to water to rehydrate best. If you’re exercising at a moderate or high intensity for greater than 1 hour (or if it’s particularly hot), sports drinks are a good option for replacing the lost carbs and electrolytes, especially in hot weather or if you sweat a lot. When taste is of upmost importance and hydration isn’t much of a factor, your drink of choice should be one you enjoy. Just be aware of the added calories, sugar, and other ingredients, especially if you’re trying to lose weight. Be sure to look at the ingredient list and Nutrition Facts label as well to get a clearer picture of exactly what you’re drinking. Each day, drinking enough water should be a priority no matter what. Aim for at least eight, 8-ounce glasses each day; more if you are working outside or participate in regular physical activity. I love this! I’m always trying to explain up people why water is the best way to go! Thanks for posting!!! Thanks for your comment keeper.3339. Water really is the best way to go in most cases. Glad you liked the post. Reading this makes me love water more. This drink is really awsome. Thanks Bob for writing this wonderful post.